The Colonial Garden (2010) is an installation developed for the exhibition Something in the Air, curated by Martina Copley . The premise for the show linked two artists to work under a thematic of their choice. I worked with Fran van Riemsdyk on ideas related to the garden. 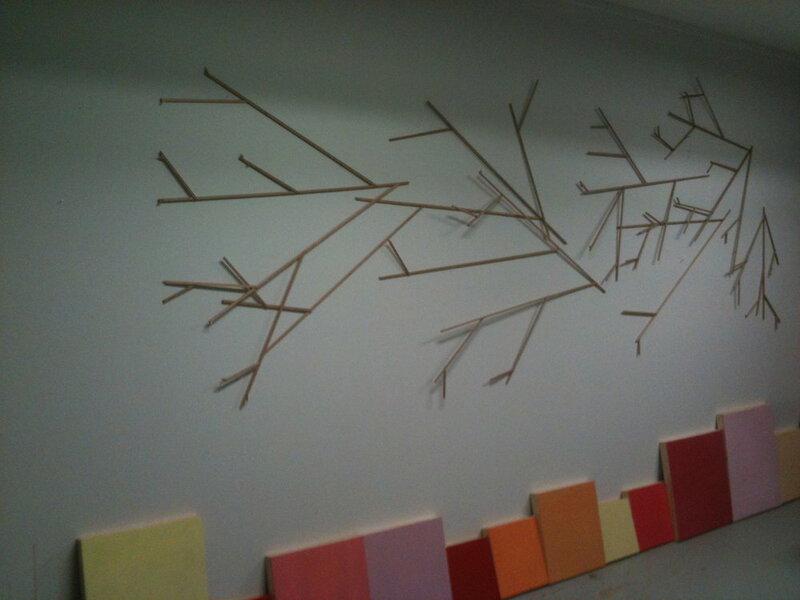 For my installation I selected a series of colours from British rose breeder, David Austin. 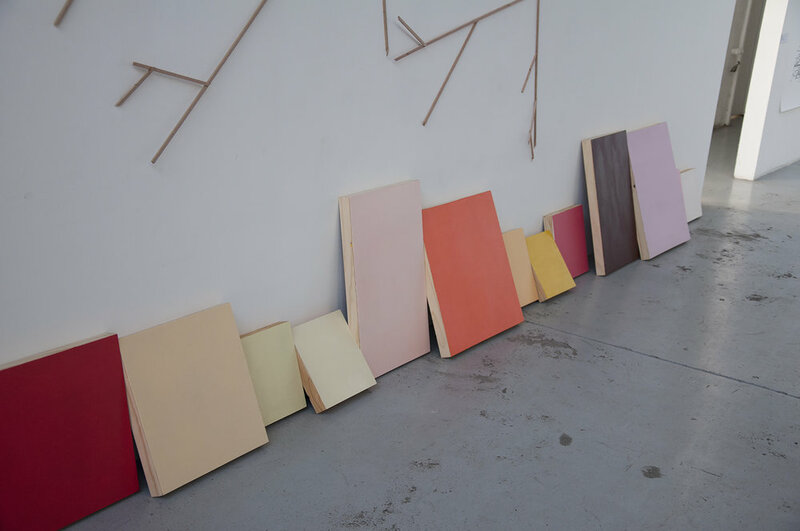 I painted a series of monochromes on wooden panels which were placed in a row on the floor leaning against the wall. 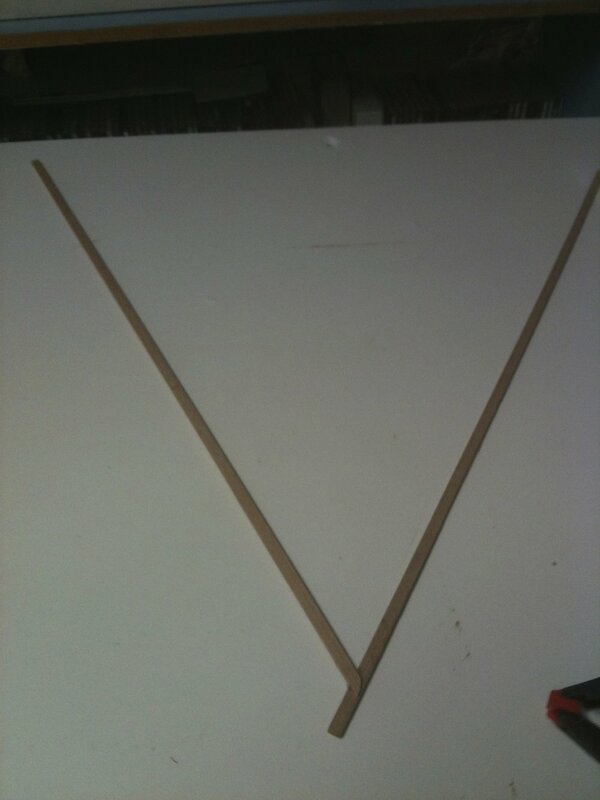 Above was a series wooden sticks which mimicked rose pruning. These forms were joined on the wall to resemble an imaginary map of sorts.